Come with us to the Bazaruto Archipelago. 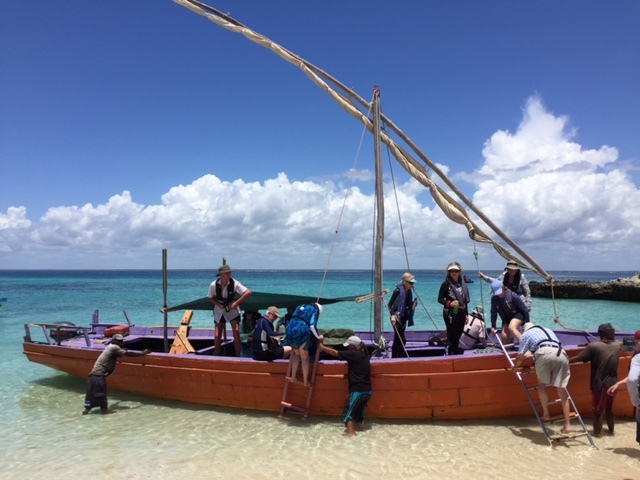 Operating since 1997, Sailaway offers a unique adventure to the Bazaruto Archipelago National Park. 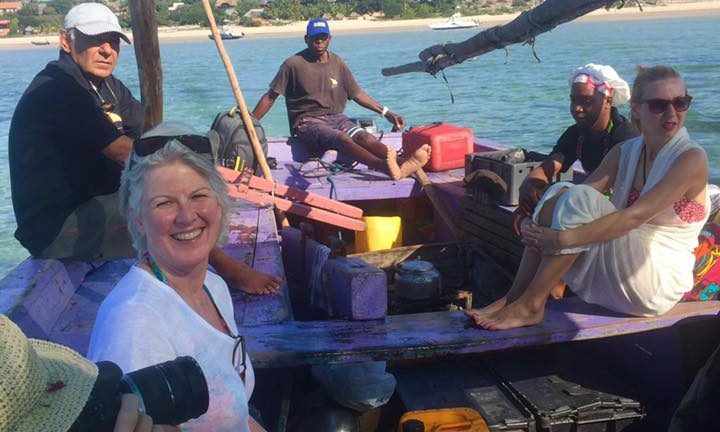 Join us for a day safari to Magaruque Island or Bazaruto Island. Or an overnight safari to visit various islands and coral reefs. ensuite accommodation on the mainland. The Bazaruto Archipelago is situated 10 to 15 km offshore between Vilankulo and Inhassoro and consists of five islands; Bazaruto, Benguerra, Magaruque, Santa Carolina and Bangue. 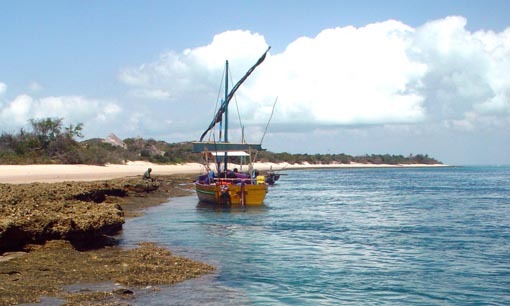 These islands and surrounding waters constitute the Bazaruto Archipelago National Park. 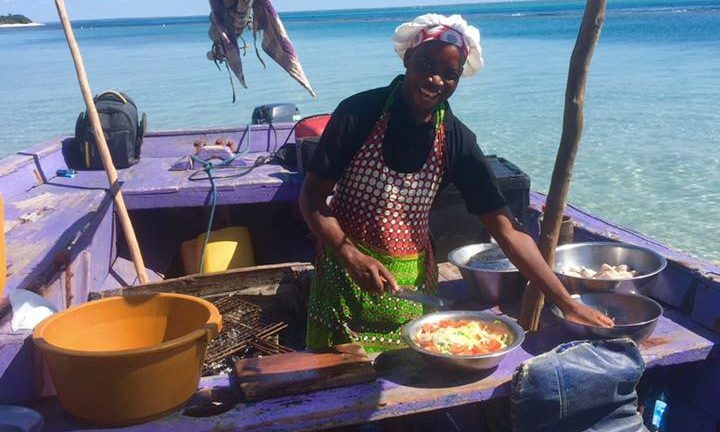 Bazaruto is the largest island in the archipelago with towering dunes and islands lakes, frequented by water birds and home to the Nile Crocodile. The south point of the island, Ponta Dundo offers a spectacular view of the achipelago from the summit of the dunes. Two-Mile Reef is situated off the eastern shoreline of Benguerra and offers great snorkeling and diving opportunities. Beautiful and diverse coral formations and thousands of tropical fishes from tiny clownfish to large wrasses and parrotfish can be found here. Moray eels, various rays and white-tip reef sharks can also be seen when scuba diving. Magaruque is the third largest island in the achipelago. One can walk around this small island in a couple of hours. A base reef on the lee side of the island is a popular snorkeling area.The Bazaruto Archipelago is situated 10 to 15 km offshore between Vilankulo and Inhassoro and consists of five islands; Bazaruto, Benguerra, Magaruque, Santa Carolina and Bangue. 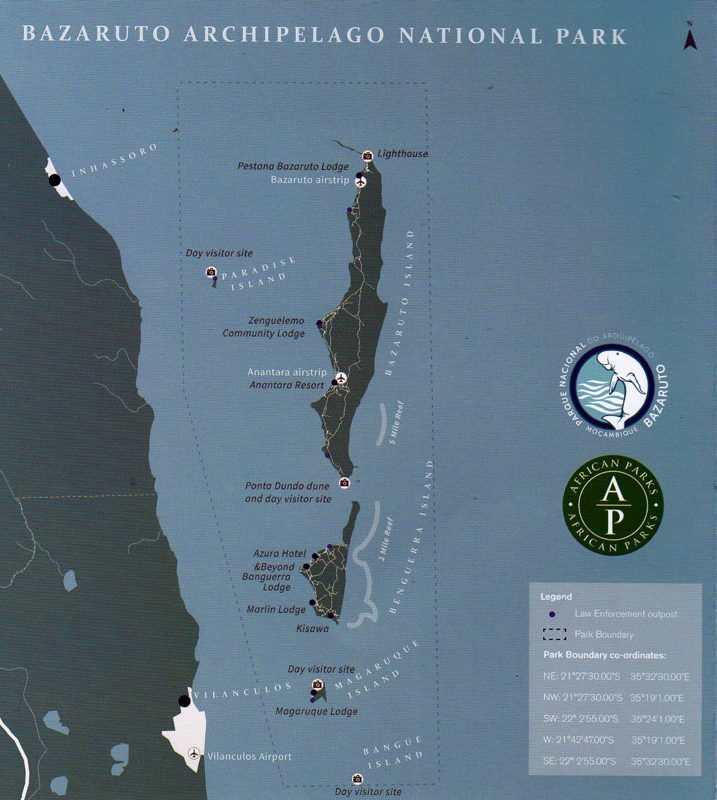 These islands and surrounding waters constitute the Bazaruto Archipelago National Park. Magaruque is the third largest island in the achipelago. One can walk around this small island in a couple of hours. A base reef on the lee side of the island is a popular snorkeling area. With the thousands of tropical fishes, look for the Octopuses, Lionfish and Lobsters.